Some commercial banks have announced their lending rate cuts as from July 10in implementing the State Bank of Vietnam’s decision on reducing maximum short-term interest rate for loans in VND provided by credit institutions to serve demand for capital in some economic sectors. The Bank for Investment and Development of Vietnam (BIDV) announced its continued reduction of interest rates for short-term loans in VND for priority clients and fields. The bank applies a ceiling interest rate of 6.5 percent per year for the priority customers as stipulated in the State Bank of Vietnam’s regulations, while offering the maximum annual rate of 6.0 percent for loans in five priority areas: agriculture and rural development; export; small and medium-sized enterprises (SMEs); support industry; and high-tech businesses. The preferential interest rate is also applied to startups and firms in the environment area, as well as businesses having regular creditrelations with the bank from at least three years and strong financial capacity, and operating effective projects with the bank’s loans. At the same time, BIDV also offers a 5.5-percent rate per annum with enterprises, individuals and households suffering floods in central localities. Meanwhile, the Vietnam Prosperity Joint Stock Commercial Bank (VPBank) also announced a cut of 0.5-1 percent in interest rate for short-term loans for SMEs from July 10. 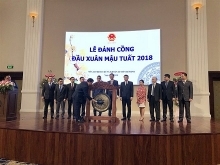 The reduction was made after the State Bank of Vietnam revealed that it will reduce prime interest rate by 0.25 percent per year and asked credit organisations to lower their maximum lending rate for short-term loans in VND by 0.5 percent a year with an aim of providing capital for some economic sectors. The Vietnam Bank for Industry and Trade (Vietinbank) also announced a maximum 6.5- percent interest rate per yearfor projects in the five priority sectors as from July 10.